According to HIS, this model is equipped with Metallic Lion Fan-Shroud and Metallic Lion Back-plate, but does it have a true heart of the king? 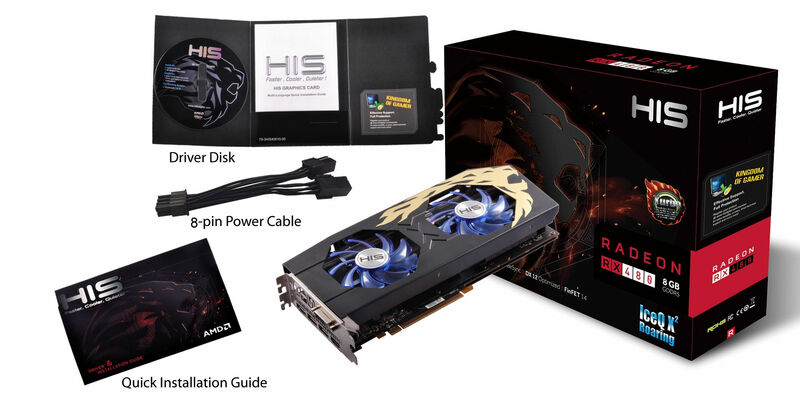 ‘Roaring’ are the latest series introduced with Radeon RX architecture. HIS finally got rid of the gold shroud, and blue PCB, but in exchange we get blue fans.. let’s be honest here, not everyone will like it, but it’s a big step forward from previous designs. Small tip: if you have LED strips in the chassis (like me), then there is a good chance that the metallic paint of the lion will reflect the color of your LEDs. The backplate is not finished with brushed aluminum. That’s good, actually that’s great, because the likelihood of leaving fingerprints is much lower. 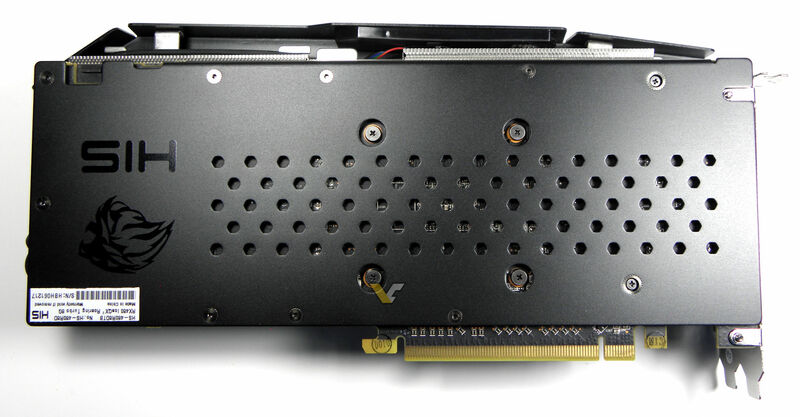 This card is slightly wider than 2 slots. 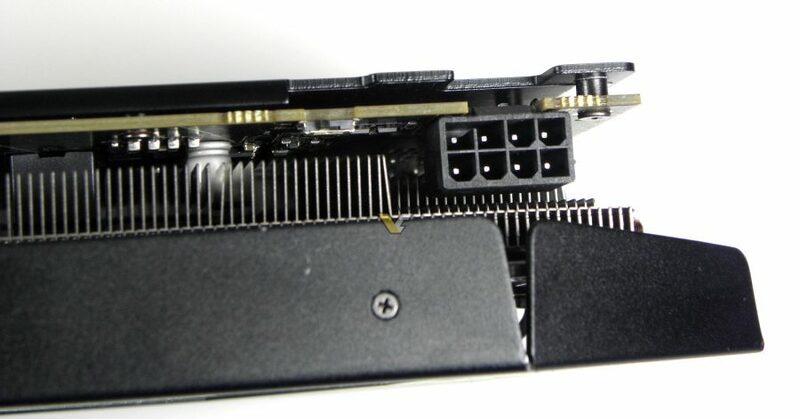 If you were to use two of these cards in CrossFire I recommend removing the backplate from one of the cards, unless of course, you have enough room to provide necessary airflow for secondary GPU. This model is equipped with single 8-pin power connector. I will already tell you that this card is a true beast. I had an impression that even this non-reference connector was not enough! The power is distributed by International Rectifier Digital PWM (IR3567B) controller to six phases. 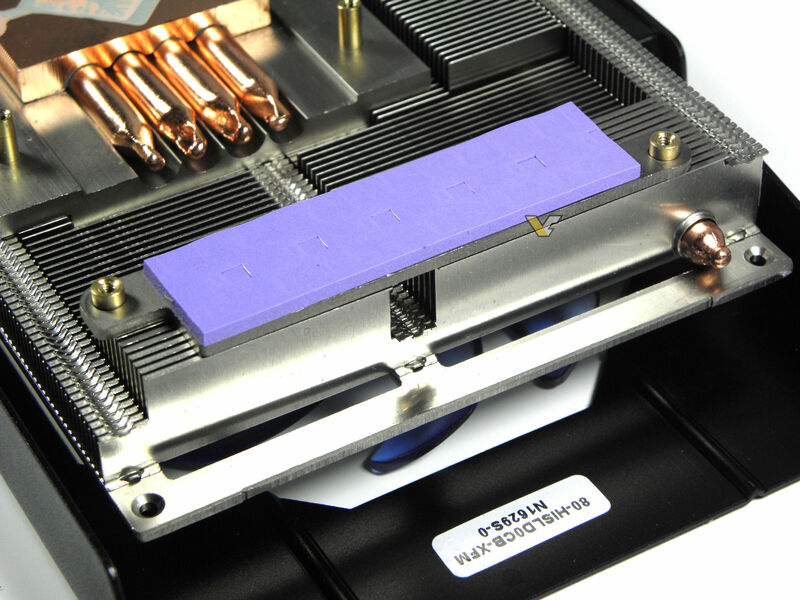 The VRM is cooled down through thermal pads attached to the heatsink. 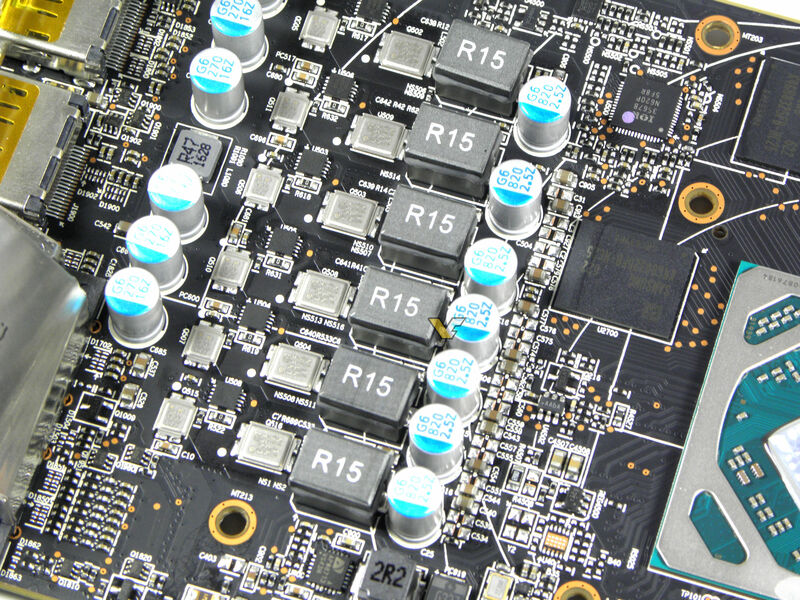 On the left we can see Ellesmere (Polaris 10) GPU with 2304 Stream Processors. Thermal paste was well distributed across the die. This card has two BIOSes for easier tuning. In our sample both BIOSes carried the same configuration. 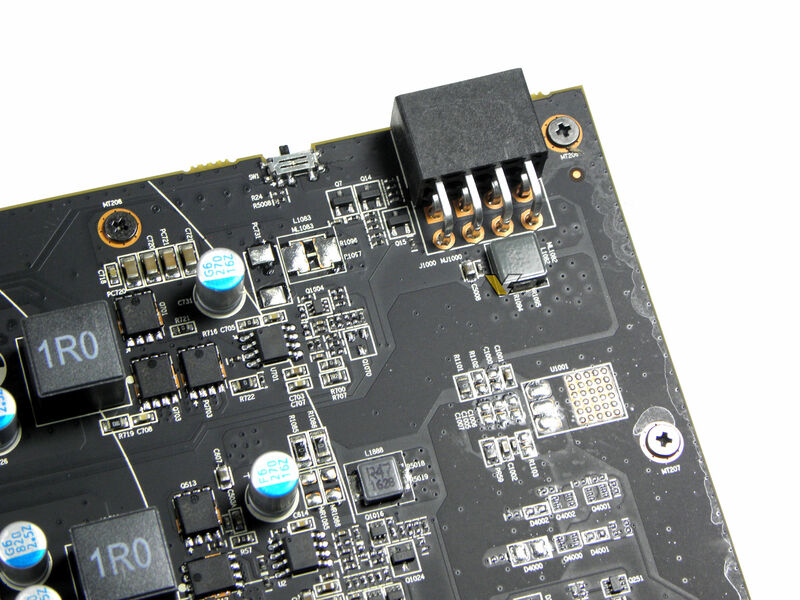 HIS RX 480 Roaring Turbo has Samsung K4G80325FB modules, which are hidden under custom base plate. 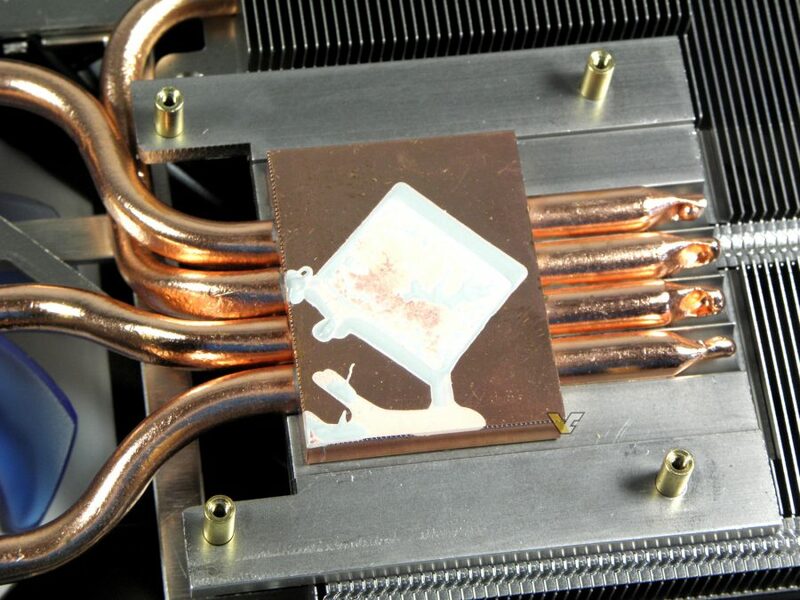 The cooler without the shroud reveals two heat sinks with four copper heat pipes connected directly with the copper GPU base. What’s in the box: 2x 6pin to 1x 8pin adapter, manual and a disc with the latest drivers. The last picture shows LED illuminated logo. It’s actually really bright, but there’s no way of changing it. 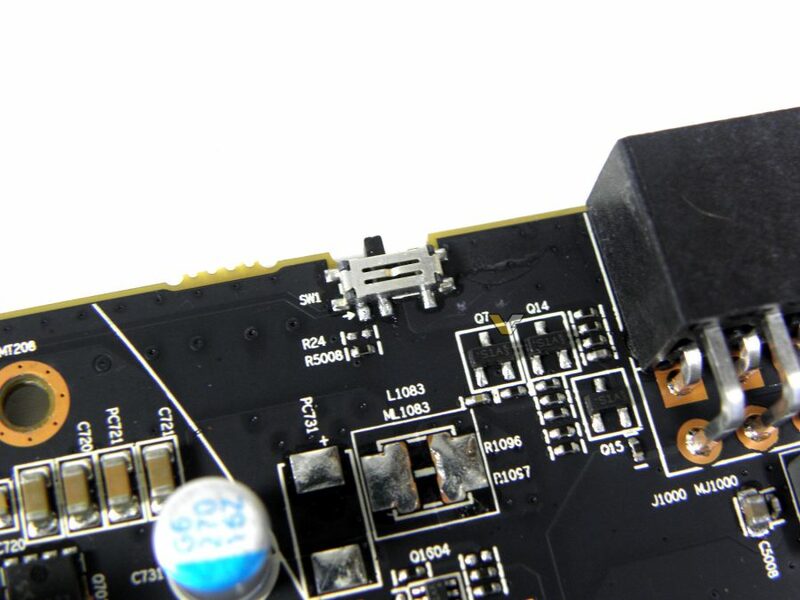 There’s also a small blue diode right above the power connector, likely indicating if enough power is delivered to the GPU. To get the most out of HIS RX 480 IceQX2 Roaring, we are using Sapphire’s TRIXX 6 utility, which in my opinion is much easier to use than AMD’s WattMan. There are few things to consider though: the voltage will not be saved when system is restarted (but it is saved in profiles). Also if you choose effective memory clock, bear in mind that profile saved with non-effective clock will override effective clock (so instead of 2250 MHz, it will be 562 MHz). Also with clock speeds above 1400 MHz, changing them on the fly (like in the game), may results in a black screen. So to make everything is perfectly stable, we settled with a clock speed of 1410 MHz. Still, I would probably recommend slightly lower clock (I think 1400 MHz would be good configuration for daily use). To achieve such boost clock additional voltage is required (at least 100 mV). 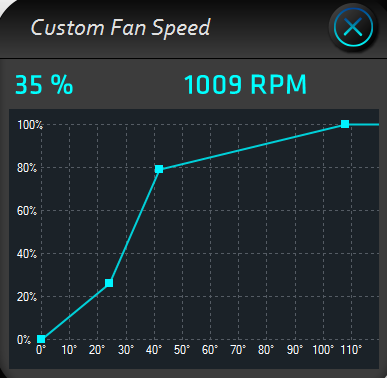 Also don’t forget to change power limit to 150% and apply custom fan profile. Finally memory clock is set to 2250 MHz. This is unfortunately limited by Crimson driver. You can set higher values, but they are not saved. Speaking of the profiles, three fan profiles were tested. First profile was not enough to keep stable 1410 MHz clock (see the graph below). Therefore second profile was used for further testing, to ensure that clock speed is not throttling. 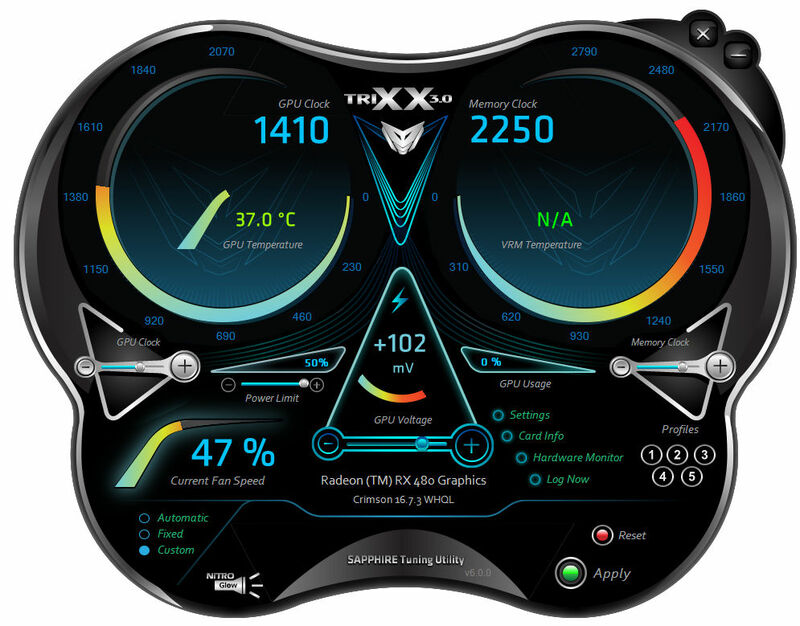 Third profile is suggested for daily use (lower RPM at lower temperatures), but still enough to keep card from throttling. Screen grabs from GPU-Z with ‘moderate but stable’ 1410 MHz overclock and 1430 MHz, which was enough to keep the card alive through 3DMark, but not enough to keep it alive in games. 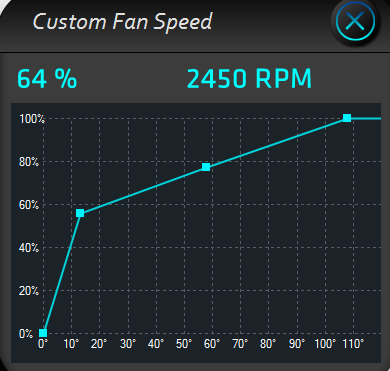 HIS RX 480 Roaring features 0dB technology, which basically means that the fans won’t start spinning unless certain temperature is detected (I believe it was 50C on our sample). 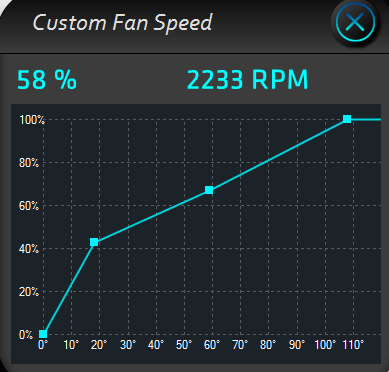 Quickly after discovering the true potential of this card (1400 MHz+ clocks), I decided to put more aggressive fan profiles to get best performance. As a result the cooler was louder than I’m used to, but nothing I would call extreme. Also bear in mind that we are testing in normal chassis with other components (like AIO cooler for CPU), so total noise listed below is generated by the whole system (but kept in ‘silent’ modes if possible). 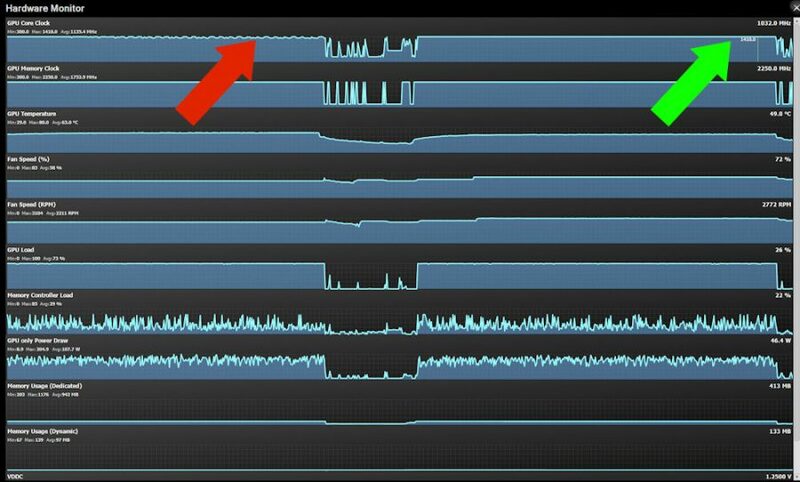 First few graph include RX 480 @ 1430 MHz, the highest overclocking that was possible with the HIS Roaring. Starting with the games we stick to ‘moderate’ overclocking at 1410 MHz, which was proven more stable. 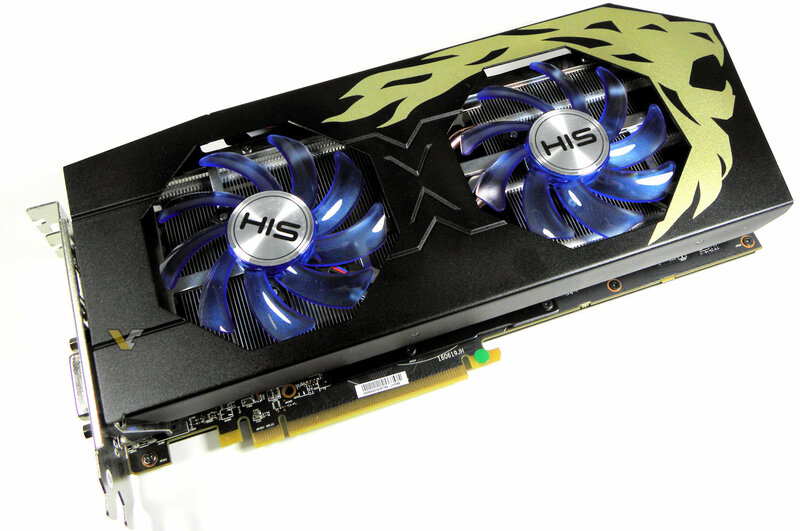 Note that in our charts we report on ‘GPU-Z boost clock‘. In reality clocks will go up and down depending on how boost technology works. So for instance, while it says 1934 MHz for GTX 1060, in games this clock is well above 2.0 GHz. You don’t see this every day, overclocked RX 480 beating overclocked GTX 1060 in FS Performance and Ultra. In 3DM11 Performance preset (1600×900 resolution), HIS RX 480 has a lead ever GTX 1060 from MSI, even at stock settings. In Extreme.. it’s much different story. Time Spy, first DX12 benchmark from Futuemark, shows interesting comparison. Both GTX 1060 and RX 480 seem to fight near the same performance level. Unigine benchmarks are clearly handled better by GeForce GTX 1060. Overclocked HIS RX 480 Roaring almost pairs with HIS R9 390X in Ashes of Singularity in CRAZY preset at 1440p with DirectX12 API. First game and first win for RX 480. Both Hitman and ROTTR are very playable with both cards at highest in-game settings. You may however consider buying second card for 4K gaming.. (sadly not possible GTX 1060 users). This is latest addition to our benchmark stack, Total War Warhammer. I do not recommend Ultra preset for normal gaming as it really pushes both cards to their limits. Yet, we always test at highest settings to ensure that we are looking at the game the way it was meant to be looking. Radeon RX 480 is not staying far behind in Metro LL, as it beats GTX 1060 at 1759 MHz and even R9 390X. We almost have a tie for overclocked GTX 1060 and RX 480. 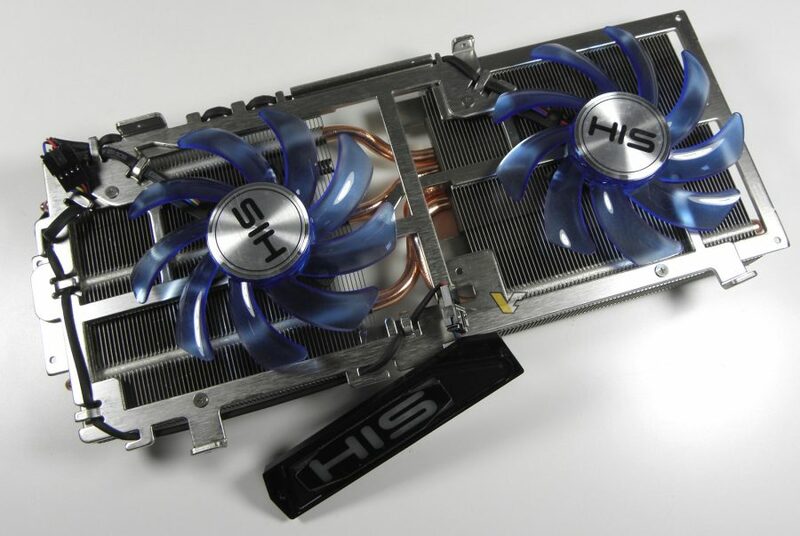 One card is winning at 1080p, while the other wins at 2160p. One of my favorite games, with a true cooperating gameplay. The likelihood of you playing at Ultra is probably low, but it’s the only way to see where are the real bottlenecks. Surprisingly RX 480 wins at 2160p, but it lost against 1060 at 1440p and 1080p. Division benchmark is really demanding. Seeing any card going past 60 FPS at 1080p always puts a smile to my face. It appears that HIS RX 480 Roaring clearly has more potential than GTX 1060 in this game (1440p/2160p). One of the very few games to support Mantle gives another win to HIS RX 480 Roaring. There’s quite a gap between 1338 and 1410 MHz test runs for some reason. No, I did not forget about Deus Ex. This game is either very demanding or horribly written. I don’t remember seeing 1X FPS in any game that was released in the past few years. The good news is that this is DX11 API, as DX12 was not added yet. Hopefully it will deliver better performance across our charts, right now it’s just sad to see how horrible is the performance in this game, no matter the card. In GTA5 we are using highest settings that are preapplied in the game. We are not enabling any of the advanced features. Such in-game preset is still enough to keep mid-range cards below 60 FPS at UHD, so it’s enough for our comparison. RX 480 Roaring lost against GTX 1060 this time, but at least we have a win against R9 390X. And finally.. Doom. We are using Vulkan API and our own modified tools to measure FPS. I’m happy to report that overclocked HIS RX 480 is faster than GTX 1070 at stock clocks. It’s a small win, but still.. you don’t see this every day. Performance: Our sample was able to reach 1400+ MHz, which gave us the opportunity to put RX 480 and GTX 1060 face to face at highest overclocking settings. 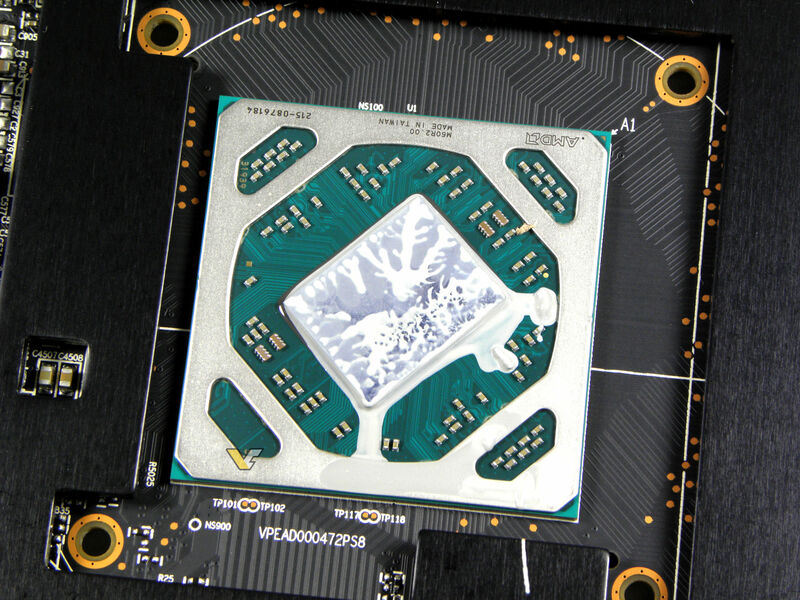 It produced some interesting results proving that GTX 1060 and RX 480 indeed have similar potential. RX 480 clearly offers better framerate in DX12 titles. Cooling and design: A big step forward from previous series. 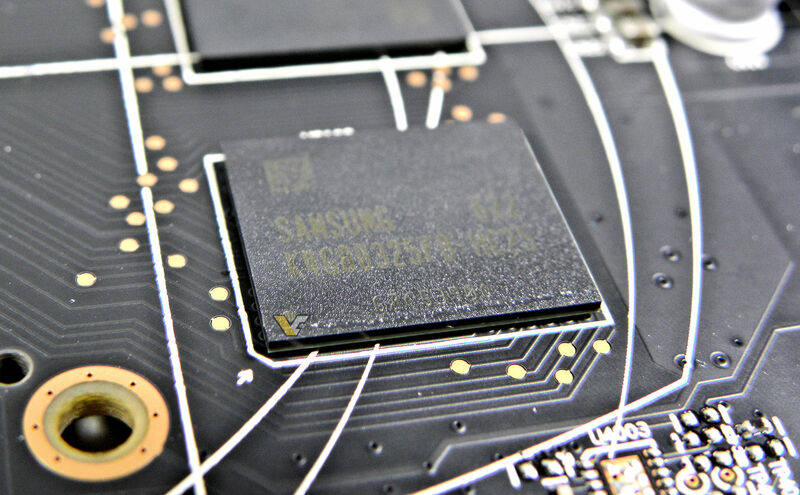 We finally have have black PCB with black shroud. 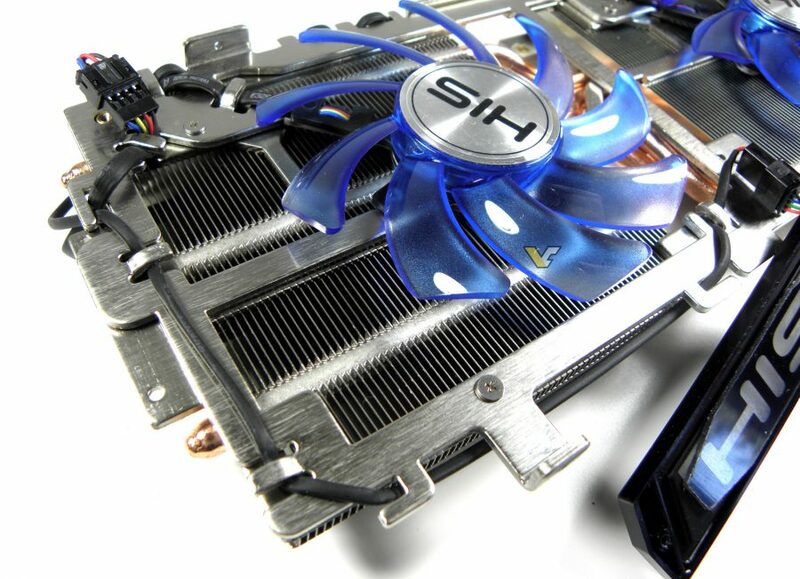 Yes, it does have a gold lion, and yes it does have a blue fans, but to be honest, most of the time you won’t even see it, when card is installed in the system. The new IceQ X2 cooler also received 0dB feature. 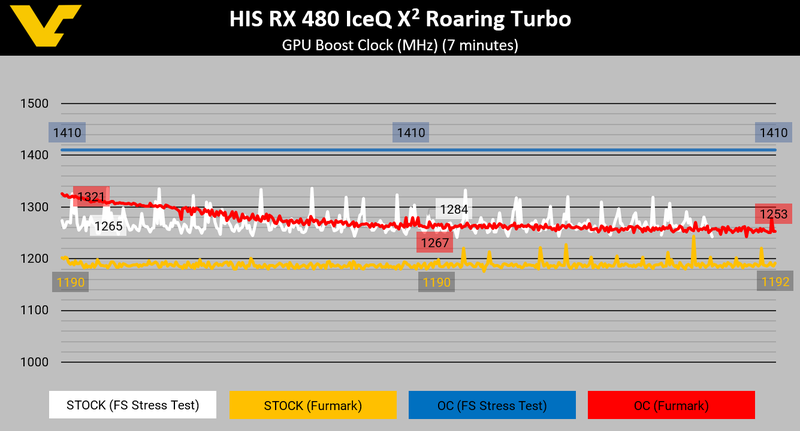 Overclocking: RX 480 sample that reaches 1430 MHz and finishes all 3DMark tests without hiccups is clearly a great sample. Clock to clock, this is nothing like GTX 1060, but the actual gain from overclocking is comparable. Price and bundle: (Update) Official suggested retail price is 289 USD / 289 EUR. In UK it should cost around 260 GBP. 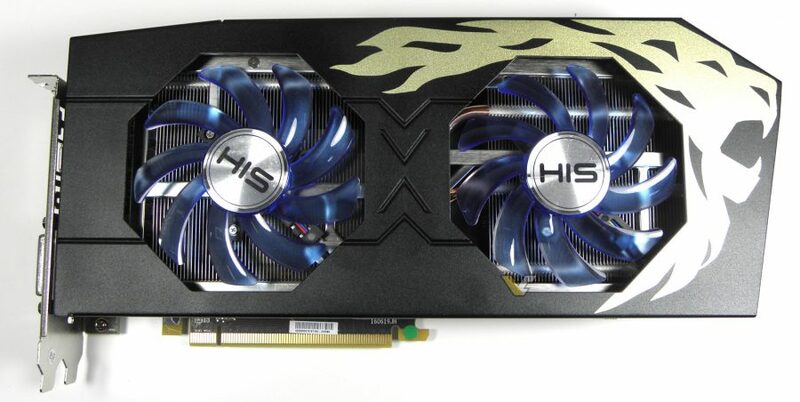 I think it’s a good price for such a powerful card. Issues: There was a problem connecting this card to our UHD monitor. It would detect wrong (non-native) resolution, and sometimes it would produce black screen when resolution was changed. 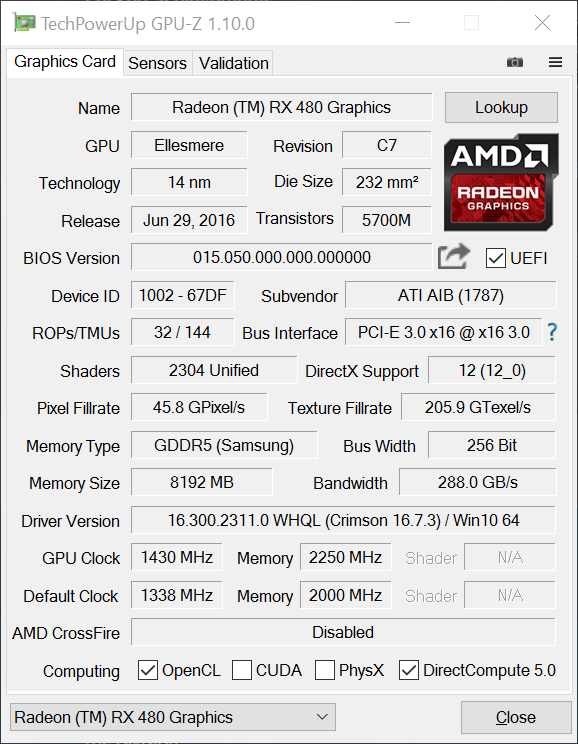 No such issues were seen on other cards (even with RX 470).